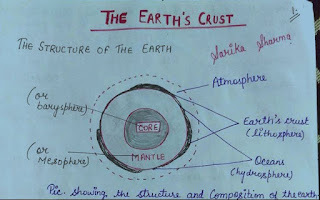 Today we're sharing Hand Written notes on - Earth's Crust(Geography). These are very Good Hand written notes in high quality, good handwritting. We're thankful to Sharika Sharma for these handwritten notes. Language of these notes is English. You can download these from the Download link given below. Disclaimer: iascgl.com neither created these files nor uploaded, We shared link which is already available on Internet, if anyone has any objection then kindly e-mail us @ admin@iascgl.com to request removal of the link.